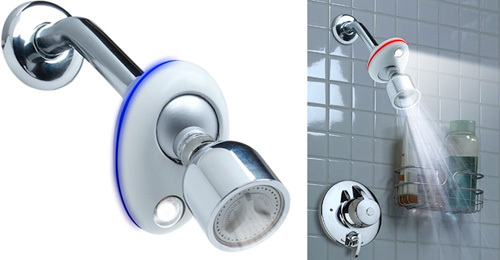 Collection of 'Creative Shower Gadgets and Products' for your shower from all over the world. 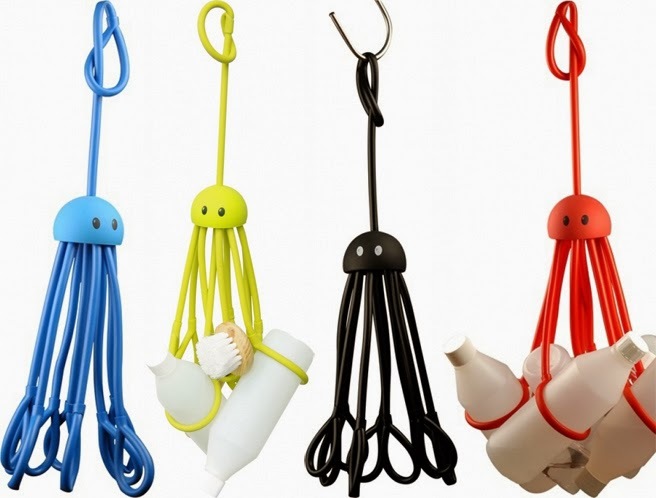 Octopus Shower Caddy: Octopus by Jens Widerberg is a cool shower caddy that comes with eight hands to hold the bottles. iShower: iShower by iDevices is a Bluetooth-enabled, waterproof speaker for your iPhone, iPad, iPod touch and Android devices. Kohler Moxie - Showerhead and Wireless Speaker: The Kohler Moxie Showerhead comes equipped with a magnetically removable wireless speaker. 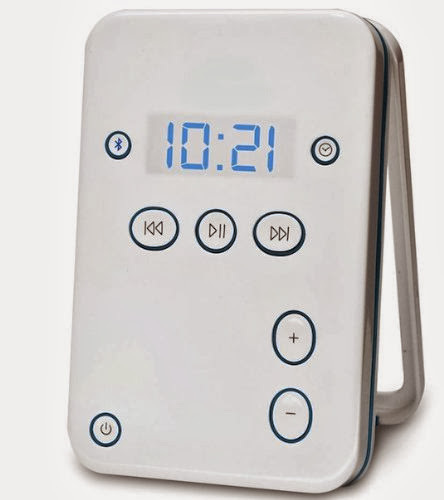 It uses Bluetooth technology to pair with Bluetooth enabled devices including smart phones, MP3 players, and laptops located up to 32 feet away. 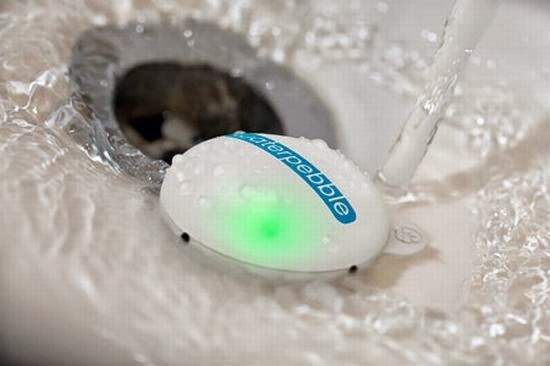 Waterpebble: The Waterpebble is designed to reduce water usage while showering. 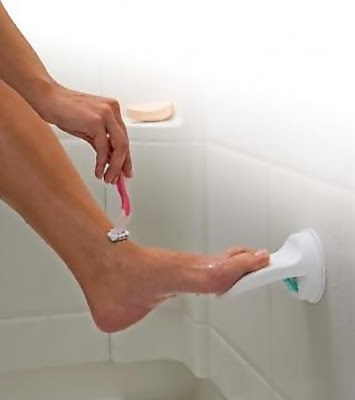 The device needs to be placed in the bottom of the shower, here for the first time it measures and remembers the amount of water used. And during the subsequent showers it uses a series of lights to indicate the volume of water being used compared to that first use. 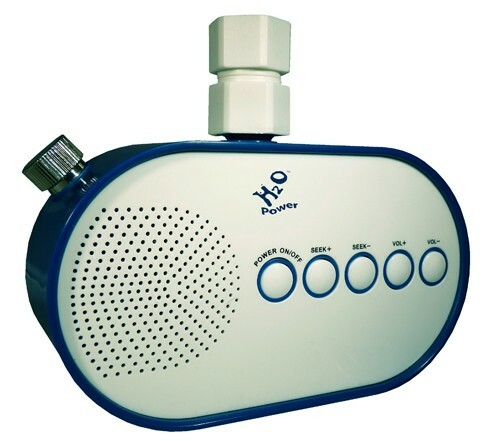 Water Powered Shower Radio: Just connect it directly to your shower hose; it uses the flow of water to spin the turbine to produce electricity and lets you enjoy music when you're in the bath. Water Powered Shower Light: Ecolight designed by Sylvania is a water powered light showerhead. 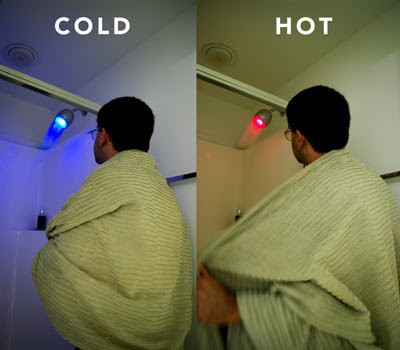 The light glows blue indicating the water is less than 78 degrees Fahrenheit and red indicates its over 105.8 degrees Fahrenheit. 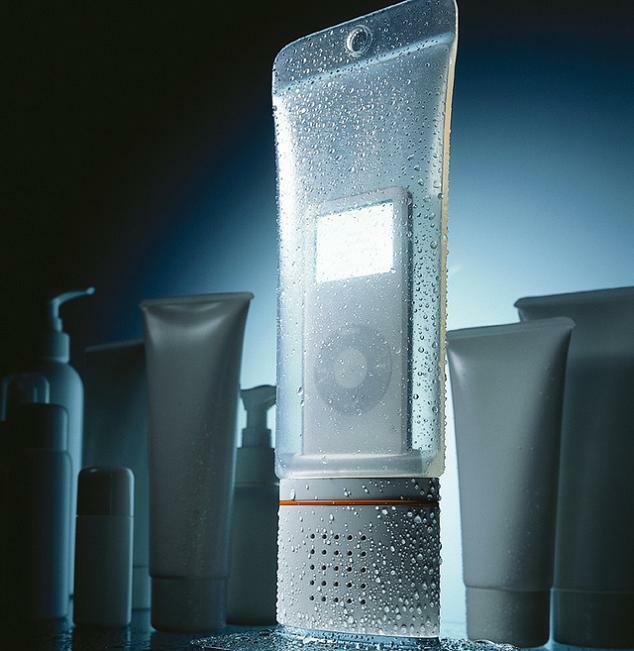 Music Tube iPod Speaker: This waterproof speaker system for iPod looks like a tube of shower gel. 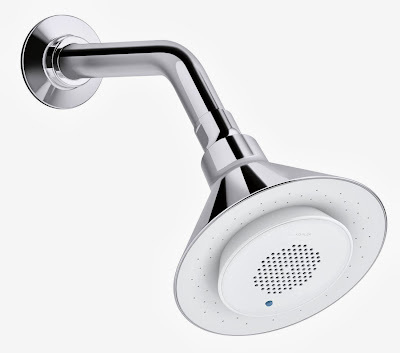 MP3 Shower Head: This MP3 shower head comes from Bossini; its made out of stainless steel and comes with a sound system, complete with two speakers, and connects to your iPod or MP3 player. Reflect Shower Mirror: This cool shower lets you shave in the shower without fogging up the mirror. 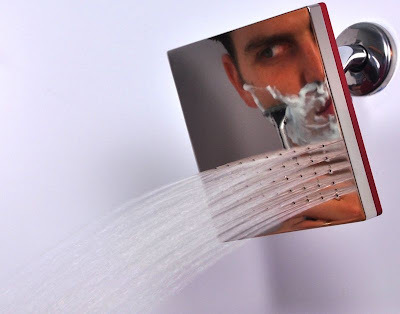 It uses incoming water to prevent condensation on the mirror. 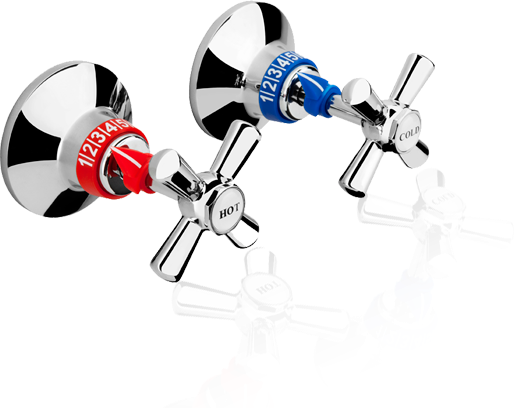 Temji Shower Dial: Place these dials to your tap handles so you can instantly turn the shower on to your perfect temperature. Shower Foot Rest: It's a perfect gadget when you need to lift your leg up in the shower for washing your feet or shaving your legs. Tub and Showerbar: It can be used horizontally or vertically as a tub or wall attachment; its fully functional for balance only but not for body weight leverage. 15 Creative Bike Locks and Cool Bike Lock Designs. 15 Creative USB Drives and Cool USB Drive Designs. 15 Cool Advertisements Using Oversized Objects - Part 3.